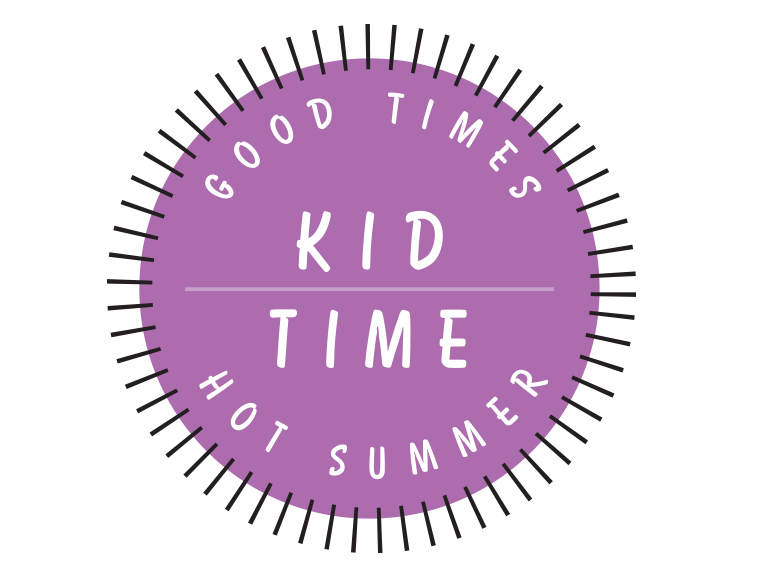 Enjoy the great outdoors with a bug hunt in the backyard! 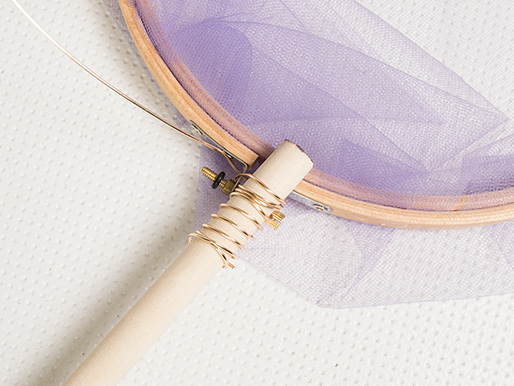 Loosen the screw on the embroidery hoop and remove the center ring. 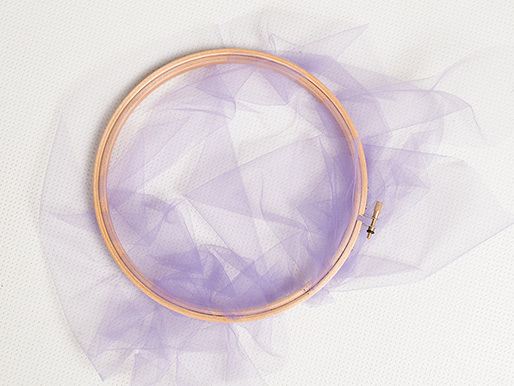 Pull the center of the tulle through the ring just enough so there are no gaps, then slide the outer ring back on and re- fasten the screw. 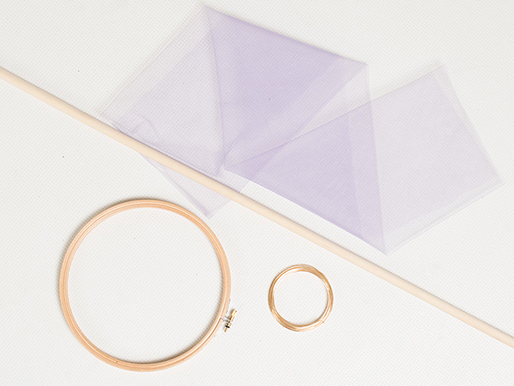 Trim away any excess fabric. 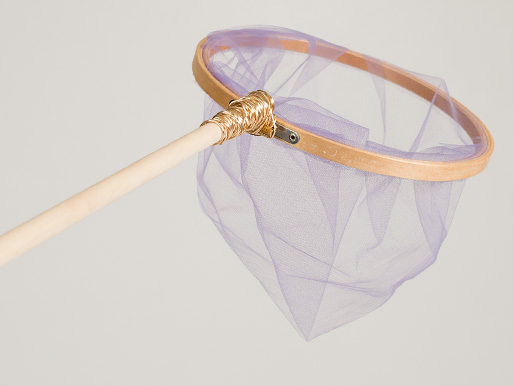 Wrap colored wire around the end of a wooden dowel, then use the wire to attach the dowel to the embroidery hoop to make a handle. Track what you find in a journal or field guide. Rainy day? Try these tasty bug snacks indoors. Cut licorice into 4 inch strips and arrange 4 strips horizontally over the top of the open cookie, so the “legs” show on both sides as shown in the photo. Spray frosting around the top and close up the cookie sandwich. Spray a small dot of frosting on the back of each candy eye and place on the top of the cookie as shown. Run one end of the toothpick through the strawberry and place the grape on the other end so the two pieces stay together. 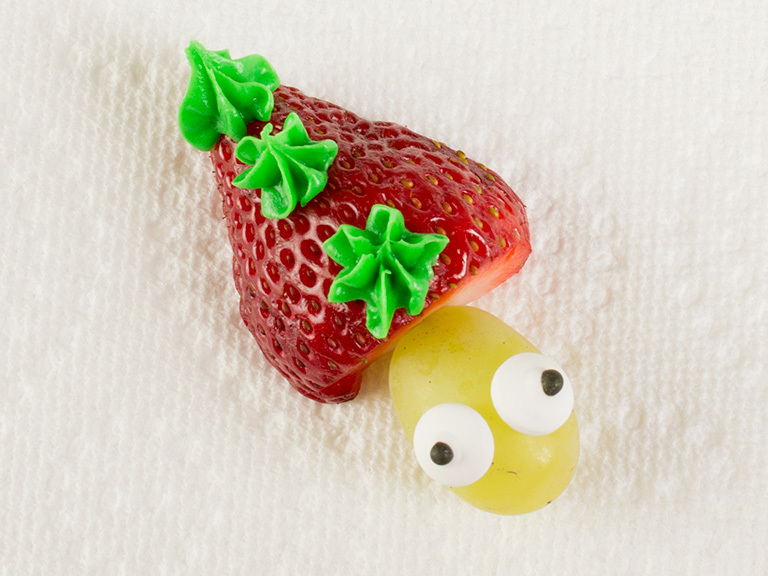 Spray a small dot of frosting on the back of each candy eye and stick on the grape. Spray three decorative dots on the strawberry as shown. Spread cream cheese across the celery stalk and stick pretzel in the middle. Place whole grape tomato at the end into the cream cheese. 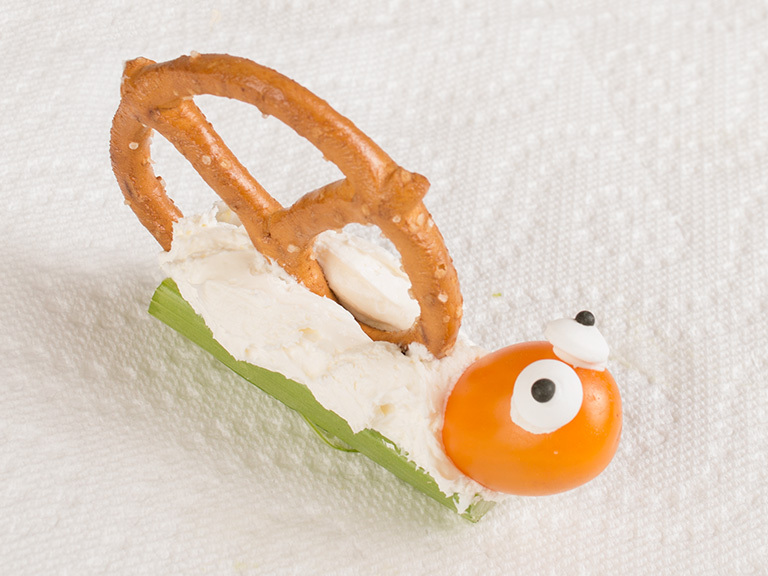 Place a small dot of cream cheese on the back of each candy eye and stick on the tomato. 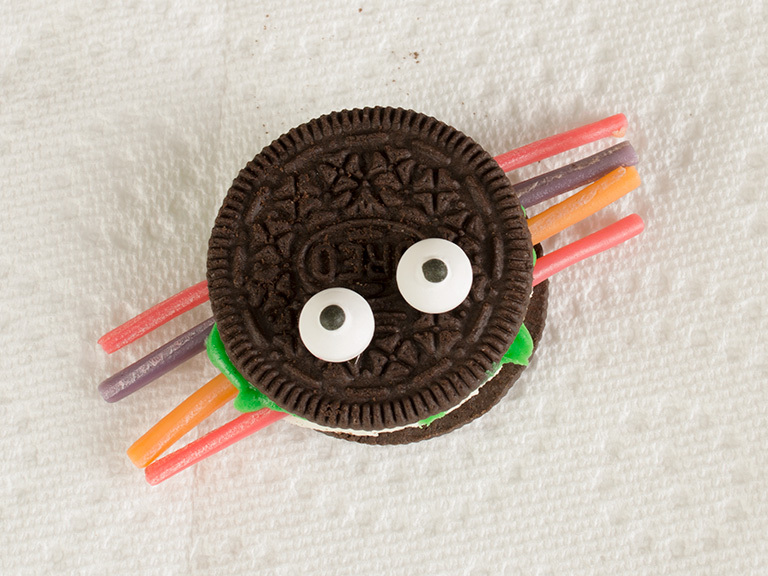 Tip: Use a toothpick to spread the cream cheese on the candy eyes.